Liverpool star James Milner is the man of the moment after his superb midfield display against Paris Saint-Germain in the Champions League last night. People are fast starting to realise the former England international might just be one of the finest English players of his generation after blossoming into a brilliant all-rounder late on in his career under Jurgen Klopp. 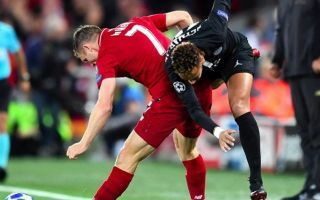 As well as scoring from the penalty spot against PSG, Milner was everywhere on the pitch and enjoyed a crunching tackle on Neymar that had Jurgen Klopp doing a cute little fist pump to himself on the touch line.